ArcTools now offers a I/O benchmark test feature to evaluate the performance of your device internal or SDcard storage. Please note that this benchmark is a work in progress and we may adjust the benchmarking procedure based on our users feedback. 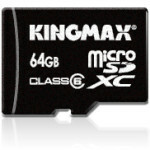 We are trying to help building a list of reliable, fast and affordable microSD cards. With the help of users reports, we will try to identify fake or unreliable cards that you should avoid. The I/O test consists on writing and reading a test file of about 90 MB. The file is made with random data, written to disk and read again. All operations include a verification thru a CRC32 test to make sure there is no data corruption. If you are testing an SDCard device, please select the Vendor, card Class and specify some details to clearly identify the card in the “Card description” edit zone. 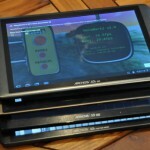 Thanks goes to Florian (@archoslounge) for this help translating this article and Jean-Luc for testing the application. I put the format in the description field. Looking at the results, it is interesting to see (and quite surprising) the range of performance for internal memory. I see most are around 10MB read/4MB write, yet some are as much as 20MB read and 10MB write (excluding clear outliers). I would like to suggest future inclusion of device type (43, 70, 101, etc.) and display of normal distribution (drop bottom and top 5% of results and avg the rest). We are in the process of adding the filesystem to the recorded data. We are questionning the validity of some tests and will recalculate data that may look invalid. We will try to correct tests that look suspicious by reviewing the “average” calculation. If needed we will remove incorrect data that seem not to represent a real situation. 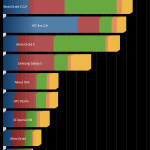 We will also add more charts: graphics by device type, a top 5 . ArcTools release 0.47 and up now records filesystem when running the I/O benchmark. We will add filesystem information in next release.